 Understanding Sidewalk Ministry - Equipping You to share the gospel and save unborn lives. Whether or not this is your first time doing sidewalk ministry or you’ve got years of experience, this first training section will help you understand the foundational basics behind this life-saving ministry. Remember, you can make a difference on the sidewalks for life! Start now by spending some time in prayer. Put on the full Armor of God! List specifics to pray for (before, after and during your time of ministry). Livingwaters.com has a lot of good evangelism resources, including a vital message by Ray Comfort called, “Hell’s Best Kept Secret“. In an interaction at the abortion center, where God has ordained a time for you to share intimately, this is a helpful Gospel-sharing tool. You should not be interested in continuing false converts. Using the Gospel in this way helps false converts understand their sinful state in a clear way. Ask them, “If you were to die today, how would you respond if God asked you, “Why should I let you into my Heaven?”And if they claim to be a Christian, you can ask, “So are you walking in holiness?”WOULD you consider yourself to be a good person? DO you think you’ve kept the 10 Commandments? DESTINY – Do you think you would go to Heaven or hell and Does this concern you? Living Waters has many more resources available to equip you with sharing the Gospel! God’s Word Never Returns Void – Our words are wholly inadequate to convey the mind and heart of God in relation to abortion. So, how can we appropriately convey His heart? We can study Scripture in order to apply it to our daily lives. And THIS is a way to apply it…weave it right into your counseling! Learn to Incorporate Scripture into your counseling – Learn to memorize and quote Scripture while weaving it into your talks on Motherhood, Personhood, Fetal development and more. Take notes when reading Scripture, integrate it on paper and then practice with your counseling “lines”. Read facial expressions, emotions and listen. Respond with Scripture and wise counsel – When you see that a lie is being told or that a certain emotion is being conveyed, use the Scripture you have learned to speak to each couple. Practice! Sound silly? – This is simply Scripture memory and meditation. Go over appropriate Scriptures so that they roll off your tongue quite naturally in various counseling situations. Practicing does NOT mean that you should memorize a script and give it verbatim car-side. It just makes it a little more natural when using it in real life! Memorize, Meditate or Paraphrase Scripture frequently! Deviate from a rehearsed script as led. Empty yourself of yourself. Be filled with the Spirit. When bringing children to the abortion center, have a discussion beforehand. What is going on at the abortion center? Why are there graphic images?